Rowman & Littlefield Publishers, Inc. https://rowman.com/ISBN/9781442212824 Available in paperback, hardcover and ebook! Check out our publication list to find downloads of the journal articles related to this work. LEXINGTON, Ky.—It started with a simple question, then grew into a large online survey with responses from over 1,000 people from across the U.S. and abroad. 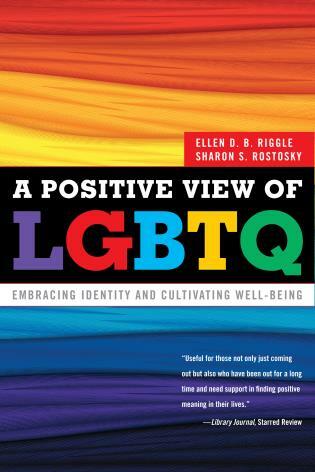 A new book by Ellen Riggle and Sharon Rostosky, “A Positive View of LGBTQ: Embracing Identity and Cultivating Well-Being,” explores what’s positive about lesbian, gay, bisexual, transgender and queer identities. “It is the right question at the right time. People want to share their positive experiences,” said Riggle, UK professor of Gender and Women’s Studies and Political Science. 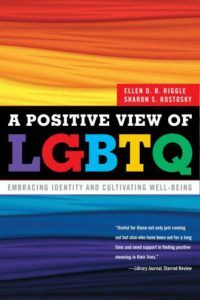 “A Positive View of LGBTQ” is available online at www.Amazon.com.